Back in the 1930’s, Clare Boothe Luce, a well-known playwright and the wife of magazine king Henry Luce, commissioned Frida Kahlo to paint a portrait of a mutual friend who had recently committed suicide. 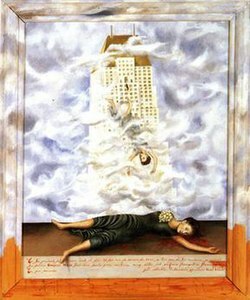 Kahlo’s portrait, The Suicide of Dorothy Hale, was not exactly what she was expecting. In fact, she so disliked the portrait that she planned to destroy it. However, cooler heads prevailed, and the painting was instead put in storage. Years later, she donated it to the Phoenix Art Museum, reportedly telling others that no one would ever see it there. When I first read this story – which was hanging next to the painting at the museum – I laughed. I thought that Luce had clearly failed to see how metropolitan Phoenix would eventually become. I never saw those commercials…I lived here, you see. So, here I am, stripped of my delusion at last. It appears that my father-in-law’s perception of me as “pioneer stock” may, in fact, be the way all non-Arizonans see me. My belief that Arizona is as metropolitan as the next major city is not shared by my fellow residents. And, in a state where a striking majority of the population is transplanted from elsewhere, Joe Arpaio suddenly seems like the obvious choice for sheriff – after all, he looks pretty good in a cowboy hat. I suppose Phoenix’s image isn’t too unappealing, since we still draw a ridiculous number of people from other states. Dan, who is originally from Chicago, tells me it’s not unusual for people to ask him about the corrupt politics and mob activity of his home city. To be fair, though, Chicago politics haven’t changed much in the last hundred years. 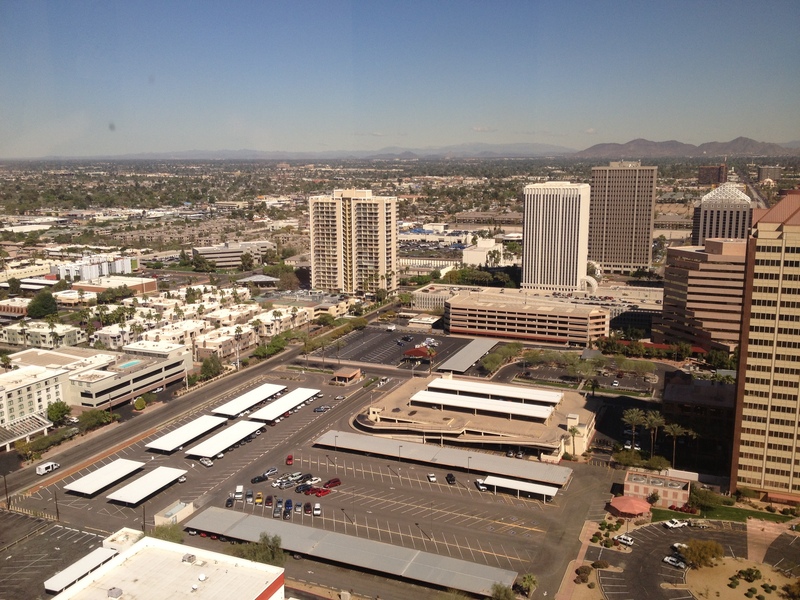 Phoenix, on the other hand, is nothing like the dusty desert town that existed before air conditioning. So, for anyone who has never been here, you should know that few, if any, real cowboys roam our streets. While some people go for sunset rides on their horses, I would venture to guess that more people take that twilight cruise on a motorcycle. If you ever do get to Phoenix, I recommend a visit to the art museum, if only to see the Kahlo that Clare Booth Luce tried to hide. If you want to see an “Old West” town, try Tombstone. Of course, their cowboys are mostly fake too. You know, I don’t know if I think of Arizona as being rootin’ tootin’ shootin’ cowboys old West. I do think of it as a place where people go to retire. And it’s very, very hot. You can take heart — I wouldn’t have asked you about the cuisine of your city. I would, however, be interested in the museums and historical sites. The difference in my mind is that these people who believe Arizona is the “Wild West” are actually LIVING here and have lived here for many years. I doubt that anyone who lives in Philadelphia thinks only of cheesesteaks when they consider their city, yet many of my neighbors apparently picture all natives wearing cowboy hats. That’s just wrong, in my opinion. When Clare Booth Luce commissioned the painting, I imagine she just expected Frida to paint a (pre-suicide) Dorothy Hale with a unibrow. I can only imagine her reaction upon seeing the finished work. In Kahlo’s defense, it is a beautiful portrait of a beautiful woman who just happens to be bleeding from the head and ears.